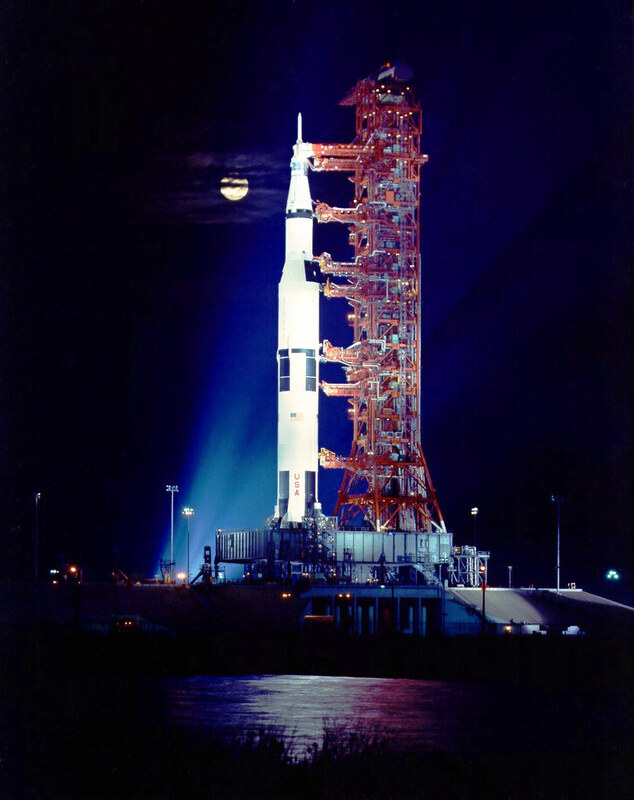 EP - 006: To Moon and Back - Part 2 - More about Saturn V launch vehicle and Apollo spacecraft | Writer & Geek Show | Weekly podcast on science, history, technology and everything in between and beyond. We discuss in depth about the Apollo spacecraft and Saturn V.
This is part of a series of episodes on NASA’s Mission to the Moon. 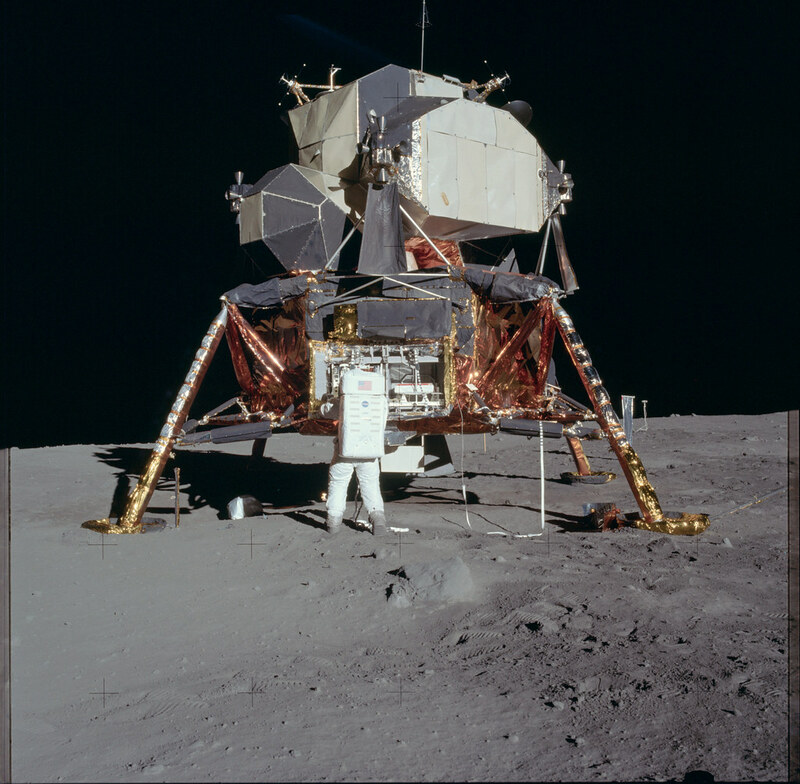 The Spacecraft built for Moon missions was one of the greatest engineering marvels of mankind. There machines are few of the most complex machines ever built. But the drive and commitment did not let the man give up on his dreams of setting foot on an alien world. There are some mind bending facts behind the construction of these machines. One of the most powerful machines ever built to send three men on Moon. Was it as simple as it sounds? Let’s find out! 02:20: The ways of reaching the Moon. 06:35: Saturn V launch vehicle. 16:15: Command, Service and Lunar Modules. 19:52: Apollo 11 UFO incident. 23:26: Kennedy Space Center and Houston. This is a Saturn V vehicle sitting on the launch pad ready to take off. The three stages along with Command and Service modules can be seen. 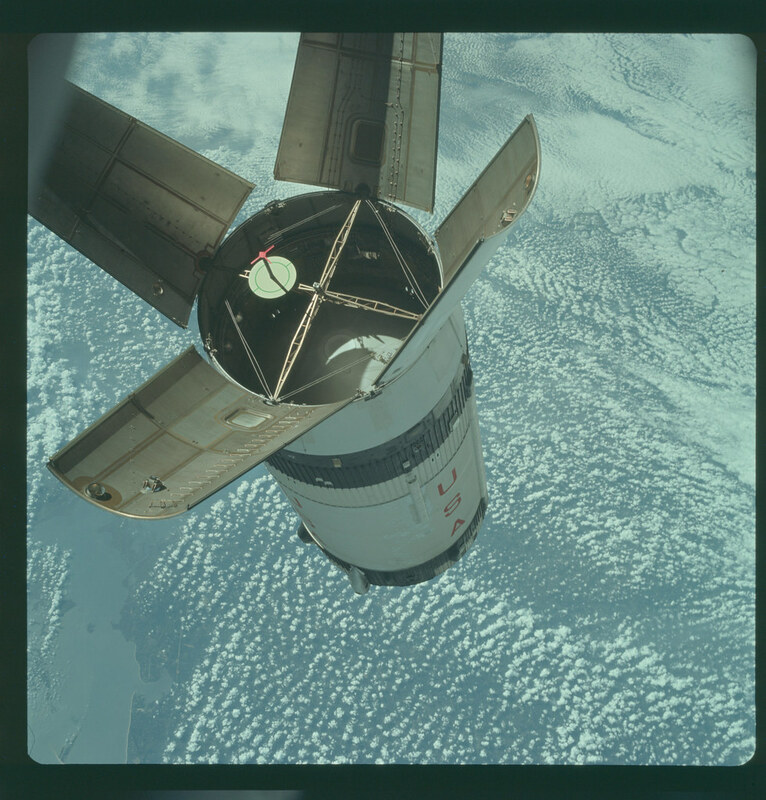 The pointed structure or “tower” on top of the Command Module is the Launch Escape System (LES) which would carry the Command Module to a safe distance in case a malfunction develops in the Saturn V during liftoff. 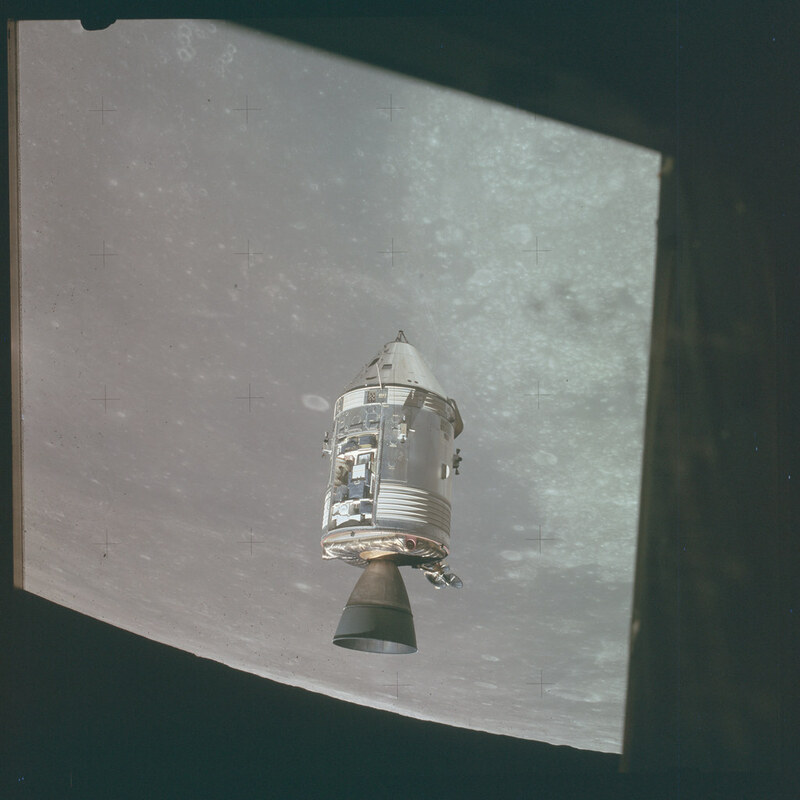 This is a view of the Command and Service Module from the window of the Lunar Module while in the Lunar orbit. Note how the two modules are connected to each other and they remain that way till the time of re-entry. The main Service Module engine nozzle can be seen as well as a high gain antenna on the lower right side. The Lunar Module after landing on the moon. The descent stage has four landing legs one of which has the staircase for the astronauts to get out. The ascent stage uses the descent stage as launching platform while launching back to lunar orbit. The SIV-B stage that houses the LEM from Apollo 7 mission. This mission did not have an actual LEM so the stage is empty. The four panels open up before the LEM extraction so that CM could dock with LEM. In later missions, the panels completely separate from SIV-B and are jettisoned into space. This animated movie shows the entire process of Moon voyage. Give it a good watch to understand how the spacecraft works.